The Vans Authentic sells for a very reasonable $45 over on Vans website. However, a bidder just paid $21,000 for a pair of Authentics that are so broken in, they are hardly recognizable. 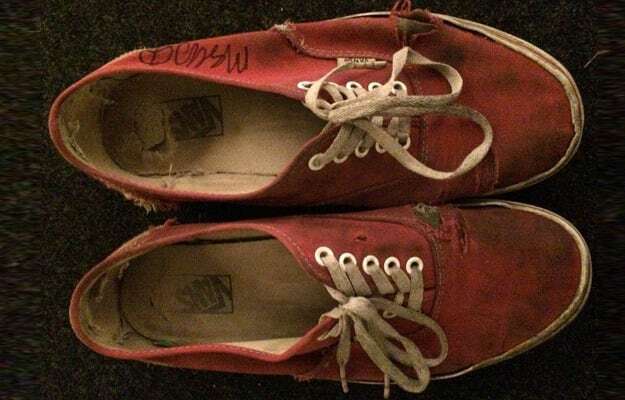 That is because the Vans Authentics belonged to indie rocker Mac DeMarco and sold as part of an auction to benefit the Willie Mae Rock Camp for Girls. DeMarco wore the pair of sneakers for over 50 different shows on his 17-country tour last year. Complete with stains, rips and holes, DeMaco went as far as posting a smell test video on Youube to let you know that they didn&apos;t smell the way they looked. To put the icing on the cake, DeMarco autographed the left sneaker, giving one happy bidder a very unique (and expensive) part of indie rock history. Check out DeMarco&apos;s beat up Authentics below and head over to Vans to pick up a brand new pair for $45.